IMPORTANT NOTICE: Pls note that if you switch audio source, e.g. from Cable to Netflix, TV will reset the audio settings. SO you need to RE-DO the TV audio settings again. Netflix and Amazon prime audios are tested working well with any of Avantree transmitters or TV set, as far as the settings are correct. If not, please double check your settings. 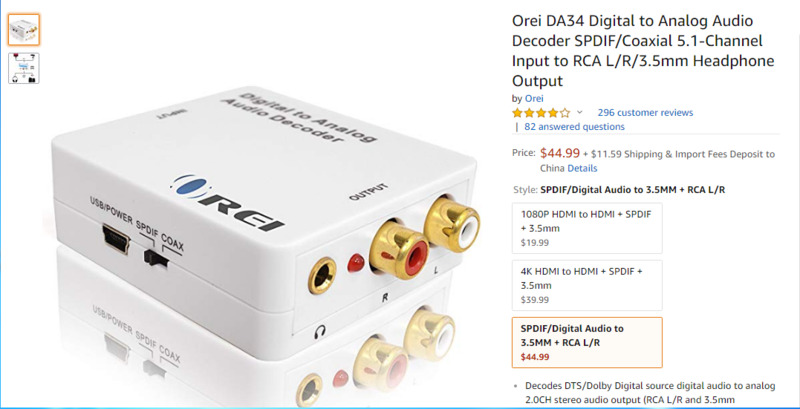 If you connect your transmitter to your cable box audio out. And your Amazon prime and Netflix are going through your smart TV streaming system, then you surely will not be able to hear audio from these two channels from your Bluetooth headphoens. 2) Change your TV audio out setting to "External Speaker".